So she began the search through the web directory only to find some phone numbers had been disconnected. Other providers said they weren’t accepting Anthem HMO. And others were no longer accepting new patients. One doctor she found said she couldn’t see Wiklund until October. Wiklund said after Anthem representatives attempted to find her a female doctor, they referred her to an out-of-network provider, Planned Parenthood, for an examination and an IUD insertion. But she would have had to pay around $1,200. 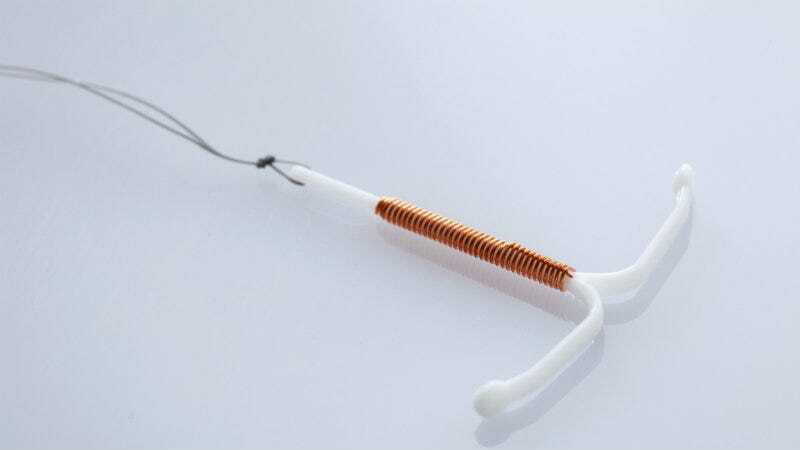 So riddle me this, why could I buy a gun before the weekend but my insurance asked me to wait 6 months for an IUD? Theyve kindly told me that’s the physician preference. Which is how they like to practice, but that is not okay when it’s my only option. Granted I’m never going to buy or use a gun, but I did have to FIGHT with anthem hmo to get birth control in a timely fashion. So for now I’m working WITH @askanthem [a Twitter account associated with the company] to initiate policy change which will allow their members to access functional birth control of their choice within a month. If Kaiser can do this in 48 hours and Canada can do it in 24 hours I KNOW a billion dollar corperation like Anthem can. And if they won’t I will continue my fight without them and move into the peaceful protest stage. Because we all deserve this. It is our right. And I believe it will actually save this HMO millions so I’m asking them to get on board and fast. Anthem told the Daily News that they did find Wiklund a provider within seven days of her contacting them; Wiklund contends that the appointment they set up for her was only a consultation, not an IUD insertion, and that she was asked if a medical student could put in the IUD. She said that’s why she asked for Anthem to cover a visit to Planned Parenthood, but wasn’t able to shell out the $1,200 up front that they promised they would later reimburse. Health insurance researchers say it’s incredibly tough to get accurate prices for medical procedures or accurate doctor directories, two things that many other countries figured out decades ago. Anthem takes its responsibility to provide timely access to birth control and medical care very seriously, and has made extensive efforts to provide the services this member has requested. From her initial call, Anthem found the member an appointment to see an in-network provider within 7 days. At that point, the medical professionals (and not Anthem) determine how and when to prescribe birth control, including what the appropriate testing regimen is, etc. Rosie, an HMO member, was unsatisfied with the timeline and requested a referral to an out of network provider, Planned Parenthood, for services. Anthem made an administrative exception, granted the request and will pay 100% of billed charges via either a claim filed or a reimbursement to the member. As an out of network provider, Planned Parenthood has discretion in how they bill.